If you grew up in the 80s, 90s or 2000s, there is no doubt that you have watched a Disney movie. In our modernizing society, many Disney films are now dated and do not depict empowered, independent young women. 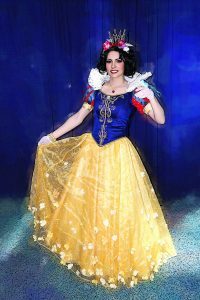 Many Disney princesses, such as Snow White, Sleeping Beauty, Ariel and Cinderella are damsels i n distress, waiting for their prince to rescue them and fill the void or provide a life of happiness and meaning. Though those stories and ideas seemed appropriate for the time, nowadays we would rather watch movies where girls and young women are independent, fierce, intelligent and strong, or, at the very least, equal to their male counterparts. As Disney works to move away from this old-fashioned portrayal of women, they have released several amazing “animated movies with strong female leads” that are not driven by romantic love or the need to be rescued. Lilo and Stitch is a hilarious, clever movie about a Hawaiian girl, Lilo, and her older sister and guardian, Nani. Lilo and Nani’s parents died in an accident, and Nani has been struggling to take care of Lilo, who has a knack for getting into mischief. One day, Nani takes Lilo to get a pet, and Lilo picks out a strange looking, aggressive animal an d names him Stitch. It turns out that Stitch is actually an alien. He was created by a mad scientist on another planet and banished to Earth. The story elaborates on Lilo’s journey to tame Stitch, and teach him about kindness and family. When the scientist comes back to capture Stitch and take him home, Lilo fights for Stitch and through their encounter, Stitch and Lilo realize they really are family and need each other. Brave is a Disney film set in Scotland, where Princess Merida and her parents live. Merida’s mother and father hold a competition to find a suitable husband for Merida, but she does not want to get married. She contests, and it angers her parents. 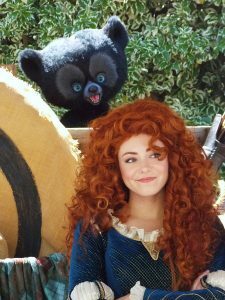 Merida runs into the woods and finds a witch, who gives her a spell to change her mother’s mind, but it ends up turning the queen into a bear! This story is about the bond between mother and daughter, as they overcome their own prejudices and work together to undo the spell. They realize that their love is true, andare not only mother and daughter, but best friends.